This is a tie or lapel pin enameled in several colors and plated in gold, with a magical theme. 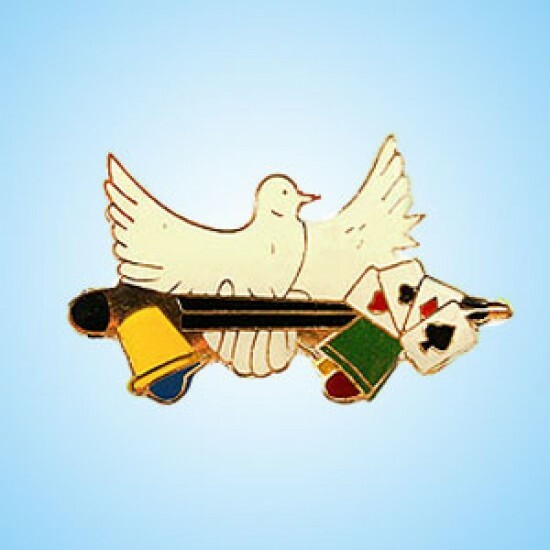 It depicts a prominent Dove with a magic wand, cup & ball, fan of cards, etc. No instructions supplied, as none are required. 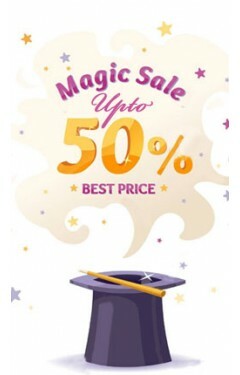 This is just a decorative pin (which you can use as a tie pin or lapel pin) to dress up and advertise that you are a magician. Magic at your fingertips!The Color Changing Blossom blooms and then changes color- all under your control!Wonderful comedy potential! Works out of..
A tie or lapel pin enameled in several colors and plated in gold. This one depicts a colorful Playing Cards.No instructions are supplied, as t..